The Making of "The Silk Road"
See the process that went into creating my latest animation, The Silk Road!A collaboration with Ted-Ed and educator Shannon Harris Castelo, the film is an animated history lesson about how the Silk Road connected the ancient world through trade. Step One! Ted-Ed sent me the script and the voice over and I had a bit of time to brainstorm over ideas before creating a rough storyboard. Once it was all down on paper I stuck it into the computer to line up with the audio track. 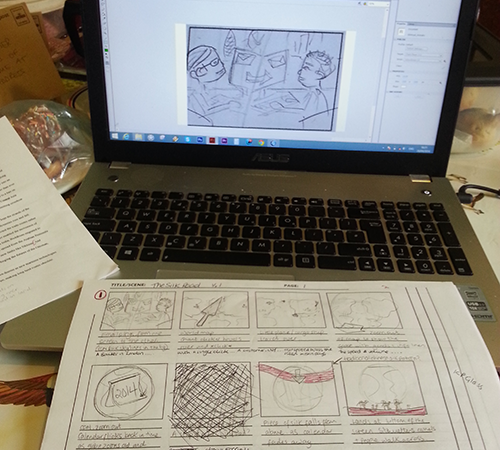 As you can see from my sketches below I am not the most brilliant storyboard artist! Since this storyboard was only for my reference I was able to keep it simple and messy which helped me get my ideas down quickly before moving onto the next step. Step Two! This is where the fun stuff started! As my initial storyboard was very basic and sketchy I wanted to make it into something that had some movement as soon as possible. It is at this stage that a lot of questions came out about the details of the film. I worked closely with Shannon and Ted-Ed to ensure all the educational facts and timings were correct. Working in Flash really had it's benefits here as I created graphic symbols for all the elements of the film. 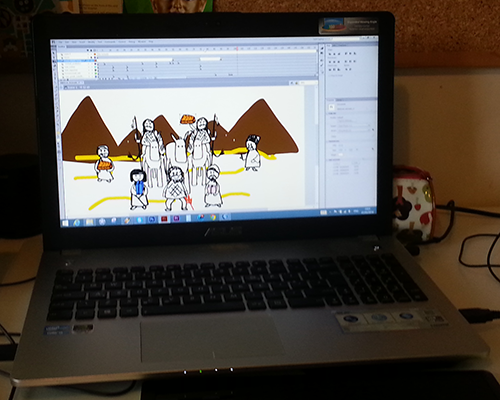 The end result was an animatic, a sketchy drawn version of the full film. Step Three! Kinda running alongside step two I started working on the style of the film and the character designs. I wanted to keep the style fairly simple as I planned to include a lot of different characters and had only 5 weeks to create the entire piece. Below you can see some of my initial sketches of some of my favourite characters and how they became their fully coloured selves. Once the film was complete it was delivered to Ted-Ed and I just had to wait for it to be published as a full lesson on their website. I thoroughly enjoyed working on this film! It was perfect for my first solo project on my new freelance adventure! I can't wait to get stuck into the next one! :) See the finished film below.